Ladyfingers is the hilarious sequel to author, Delorys Welch-Tyson’s best-selling novel, Gingersnaps. Follow their antics as they all eventually converge on the wedding banquet of a famous film director at the Negresco Hotel. 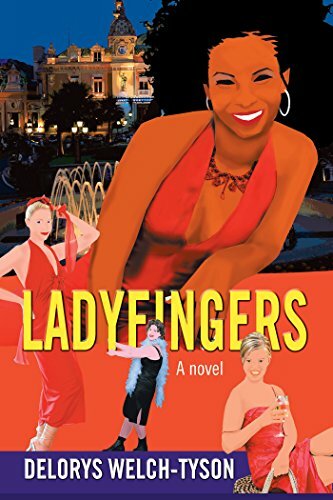 Ladyfingers is a satirical look at American foreign relations! Delorys Welch-Tyson is a writer, painter, and former owner of the Rainbow Connection Art Gallery in New York City. Author of the best-selling novel, Gingersnaps, she and her husband live in the south of France.